In the US, food allergies send someone to the emergency room once every three seconds. An allergic reaction is a significant shock to a person’s immune system. Food allergies are the most common form of allergy. From allergic rhinitis to skin allergies, this response from the body causes pain, extreme discomfort, difficulty breathing, or even death. Many Americans have their fair share of food allergic reaction stories, which have a bold impact on the world of medicine. FAIR Health has found out that cases of food allergic reactions have ballooned more in rural areas than in cities. They also discovered that about 34% of claims were seen in people over 18 years old. 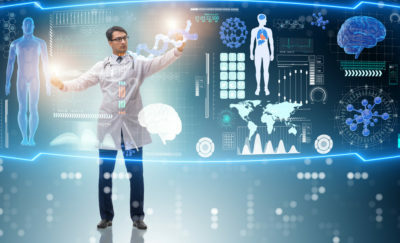 FAIR Health, Inc., an independent nonprofit company that gathers data and supervises the biggest database of privately billed health insurance claims in America, has recently conducted an analysis. In the study, they discovered that cases of food allergy reactions have skyrocketed by nearly 400 percent, which is a growth of five times over the past decade. 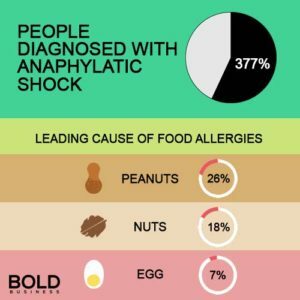 From 2007 to 2016, the number of people diagnosed with anaphylactic shock, a condition that causes a trouble in breathing, grew by 377 percent. People are not born with allergies; instead, they are acquired at a specific time or circumstance in their lives. Allergic reactions are deemed to be incurable, but there are ways that people can reduce their allergic response such as avoiding allergens and taking prescribed medicines. The analysis discovered that 8% of children have developed food allergies and that almost 40% have a history of critical reactions. Medical experts around the world are trying to look for more effective ways to prevent food allergic reactions. Giving advice to parents and children has always been their weapon, but it unfortunately does not work as well as intended. Peanuts are the leading cause of food allergies in the nation at 26%. Tree nuts came in second at 18%, followed by eggs in third spot at 7%. Other unspecified food in the report gathered over 33%. 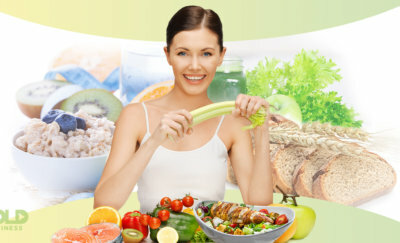 These nutritious substances are ironically wreaking havoc to the industry of health and wellness in the United States. Earlier this year, medical organizations and experts decided to turn the tables on allergy growth and change their approach. They recommended a bold action, wherein babies as early as six months old, who have high or moderate risk of having food allergies, be introduced to allergy-causing food. There are three categories of allergies: gastrointestinal, cardiovascular, and skin. These allergies can cause various physical symptoms such as swelling of the lips, throat, and tongue. 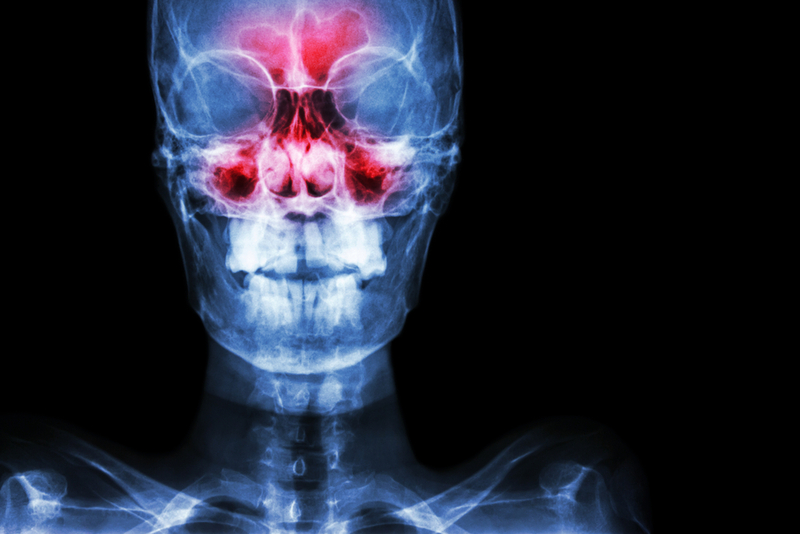 People could also experience trouble in swallowing, difficulty in breathing, and experiencing a major drop in blood pressure. Dr. Jennifer Ashton, the Chief Medical Contributor of ABC News, says that is it important to always bring an Epinephrine injection. Most often called an EpiPen®, an auto injector is a lifesaving tool for people who may experience a sudden anaphylactic reaction. FAIR Health found out that cases of food allergic reactions ballooned more in rural areas than in cities. They also discovered that about 34% of claims were seen in people over 18 years old. Ashton added that food allergies could be developed later in life and not just during the childhood stage. The information has prompted the independent nonprofit company to dig deeper into the data. They will present another study to be released in October, discussing gender variations, cost of services, and geographical factors. People can pinpoint the causes of food allergies, but having this condition is still a mystery. TFood allergies have a bold impact not just on the world of medicine but across all industries in all nations. Until we can pinpoint the causes of these allergies, information about what to do when an allergy attack happens is still our greatest weapon.